In a nutshell, I have two columns; the standard [Modified] and [ACTION_DATE]. 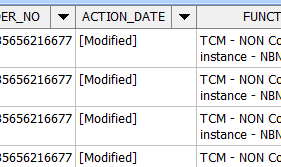 I'm using this formula =IF([Status]="New","","[Modified]") in the ACTION_DATE column to populate it with the last modified date if the status of the ticket is not equal to New. Not the answer you're looking for? Browse other questions tagged 2007 calculated-column-formula or ask your own question.